First of all, you'll need to store the tea bag in a moist medium. 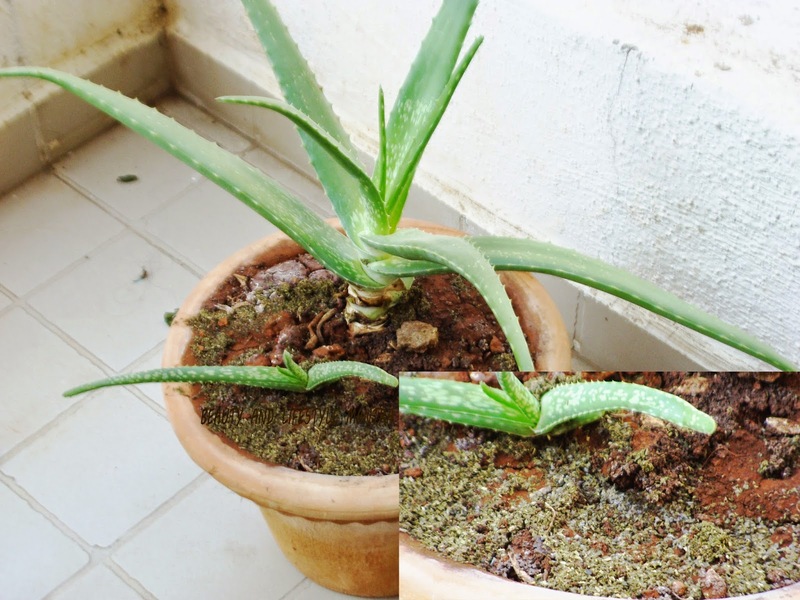 Once they get dried out, they become a breeding ground for mold and bacteria. So your best bet is to store them in a small shot glass filled with water. That will keep them sleeping while they are being stored. While you can leave them out in your kitchen, I usually put them in the fridge so that there is less chance of bacteria growth. The common use of tea bag is to place them over tired eyes for 5-15 minutes. This can reduce puffiness and hydrate the skin around the eyes. But honestly speaking I don’t like this method (I don’t know why). Anyways my favorite re-use of green tea to make different face packs. One of those my favorite pack for spot treatments. Every alternative day I use this face mask. Really it works on the spot. 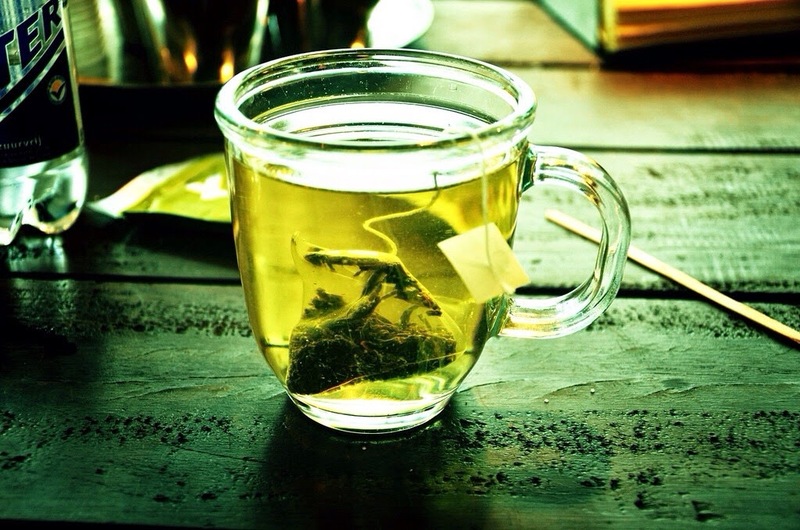 Generally, We know, Tea is a rich source of antioxidants so it can be used to protect and beautify the skin. So instead of using water, sometimes I consider washing my face with green tea (said to help clear acne). Mix used green tea with granulated sugar and rose water, and you have an exfoliating scrub. It is all natural and thus light on the skin and gives you an incredible instant glow. Every day or alternatively you can use this scrub. I love to do spa bath but I don’t want to spend more money for that. So it is better to do spa bath at home. I make my spa bath water with used green tea bags. you can pick and choose some other ingredients to add with bath water like rose petals, lavender buds, peppermint leaves, Lemon and orange peel etc. This green tea water work as a skin nourishing tonic. Taking a bath in green tea feel me heaven. You can also follow the same method for an an herbal foot bath. Wait until the water turns a green or even brownish color (don’t be grossed out, it means all the vitamins and antioxidants have been released into the water). This bath will detox your body, relax you, and give your skin a bountiful amount of minerals! Now, the most interesting use of one single green tea bag. What I do. 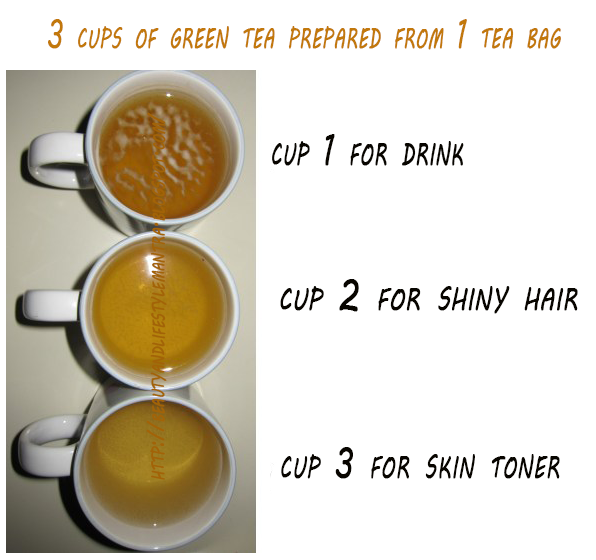 Yes, green tea gives my hair a great shine as well as it tones my skin (another time I will share these two recipes). I have a very small balcony garden. To keep my plants moisturized and stimulate growth, I add green tea bags to soil under and around the plant. The tea bags retain moisture in the soil and infuse the roots with nutrients. You can also empty the tea bags ground leaves into the soil and mix them together before planting flowers or trees. The effect works quite the same. Reusing tea bags is best reserved for tea drinkers who drink a few cups a day, otherwise keeping the tea bags becomes an issue.